Free from artificial colours, preservatives & flavourings. Adults and children over 12 years of age, one capsule daily, as required, preferably on an empty stomach. Do not exceed recommended daily intake unless advised by a suitably qualified person. 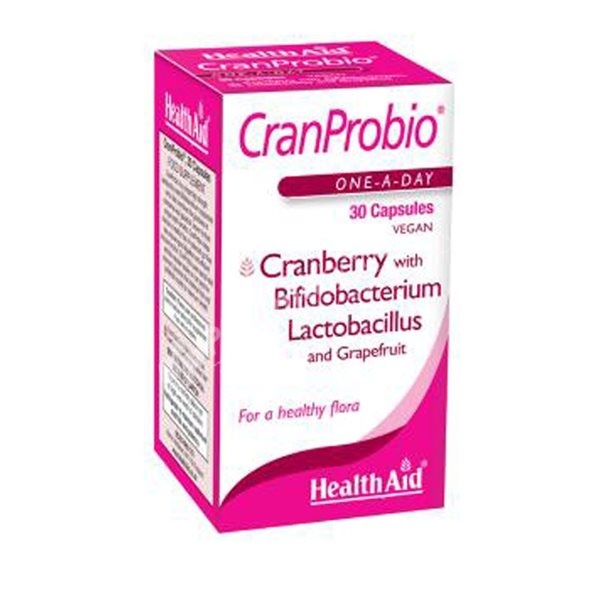 Cranberry Fruit Powder (vaccinium macrocarpon), Grapefruit Oil Powder (citrus grandis), Capsule Shell [hydroxy propyl methyl cellulose (HPMC), water], Probiotic Blend, Anti-caking Agent (silica, veg. magnesium stearate).